"In the top drawer under the balled socks was a folded newspaper clipping of the first article I ever had published in the newspaper. It was something about the goals of the long-haired generation, and the newspaper people had left off my by-line -- who knows why? "... And in this top drawer on a string are bands he never placed on the leg of a struggling squab. Jingling here, his dog tags from World War II. "In a silent slice of his life, other things, the carpenter's apron, a skeleton key, a pocket knife, a pocket watch and fob and the battered old carpenter's ruler and a box of those flat carpenter pencils. "So, he never saw the book I dedicated to him, the one with his photo on the cover, twice. And also on that cover, the string of bands, the dog tags, the carpenter's apron, the pocket knife, the pocket watch and the battered old carpenter's ruler." Raised in Belleville and Nutley, New Jersey, Thomas Francisco showed artistic talent as a youth and has followed his creative vision through fine arts. 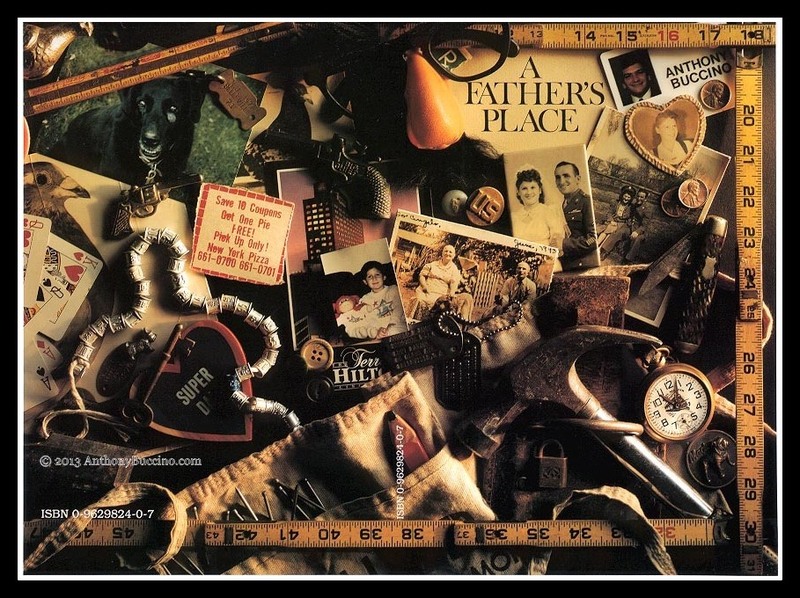 Francisco designed the original covers for A Father's Place and Sister Dressed Me Funny. The artist is a lifelong friend of the author.